Provide library with interesting pictorial books that will be enjoyed by the children who consequently will develop the habit of reading. The libraries run by the Govt. in the villages keep books suitable for High school or College students. The English books are not attractive to the children and will not help to learn the language. Why the rural children have been chosen? 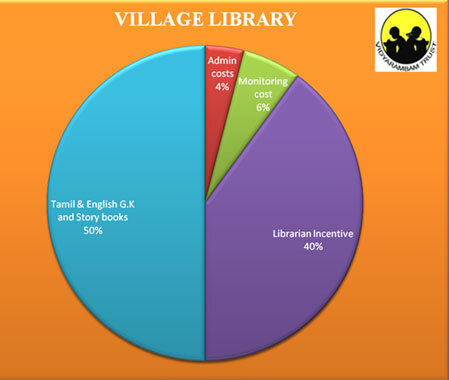 The rural children do not have the facility to borrow books and read them leisurely at their homes. They need to be provided with good English books to help them pick up the language. Rs.6,600/- per Unit to be used by all the children of age 6 to 17 in a village for the whole year. Rs. 6,600 for a library in 1 village with pictorial books.